to have movement. 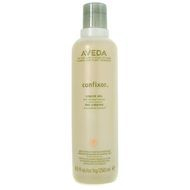 Confixor is great for fine hair because it doesn’t weigh it down. One of my very favorites, Control Paste helps create a really cute “piece-y” look. By that, I mean the product provides separation and definition in shorter, layered styles. It never feels greasy and doesn’t make your hair feel dirty. This wonderful product helps maintain your color without stripping away oils. Shampoos that aren’t specifically designed for color usually contain harsh chemicals, causing your color to fade. Color Conserve protects hair from the elements and helps maintain your color longer. 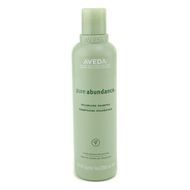 Volumizing Shampoo A great everyday shampoo, Pure Abundance cleanses your hair while making it feel fuller and thicker. It also moisturizes hair while adding volume, making it a must for people with fine hair. 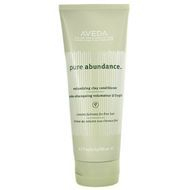 This product is great in combination with Pure Abundance Volumizing Shampoo. While most conditioners are creamy, clay adds moisture to hair without making it too soft. Therefore, this product is never oily or greasy and doesn’t build up on hair. Did I mention that it also adds amazing volume? 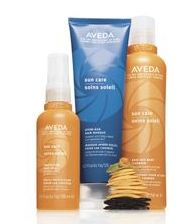 Protect, cleanse and restore with Aveda's Sun Care line. A lightweight, water-resistant UV defense mist that forms an invisible screen to help protect hair from sun exposure for up to 16 hours, to minimize color fading, damage and dryness.